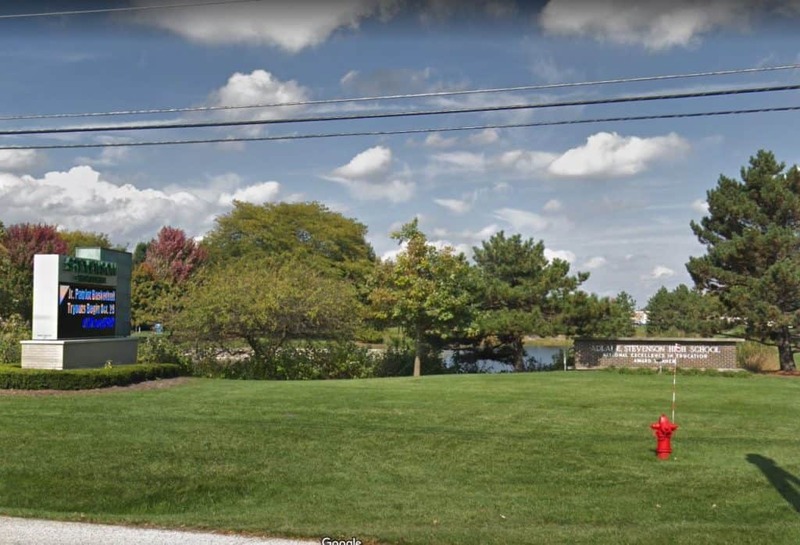 The College of Lake County Southlake Campus in Vernon Hills was put on lockdown Friday morning | Photo: Google Street View. Two car burglary suspects, including one armed with a gun, were taken into custody after lockdowns were issued for Stevenson High School and the College of Lake County Southlake Campus Friday morning, police said. The Vernon Hills Police Department said that officers responded around 10:15 a.m. Friday to a business in the 1000 block of South Woodlands Parkway for a report of a man trying door handles of several parked cars. The 911 caller reported that the man had gained access to one of the cars and was armed with a handgun. The suspect left the area and walked towards a residence in the 1100 block of East Port Clinton Road. Police began a search of the area and several businesses and schools in the area were put on lockdown. Adlai E. Stevenson High School in Lincolnshire was put on lockdown Friday morning | Photo: Google Street View. The College of Lake County issued an alert around 10:40 a.m. announcing the lockdown at the College of Lake County Southlake Campus in Vernon Hills due to the incident. 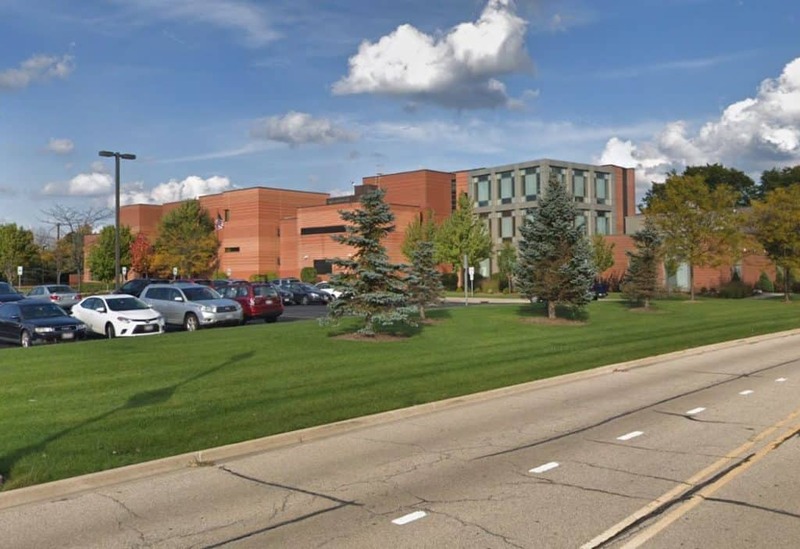 Stevenson High School was also put on lockdown as a precautionary measure after school officials were notified by authorities, Lincolnshire Police Commander Kimberly Covelli said. At 11:10 a.m., police officers located the suspect along with an additional suspect in the area and a weapon was recovered. Area businesses and schools were notified and the lockdowns were lifted. Police said that the two suspects are being held while the incident is under investigation. The College of Lake County Police Department, Lincolnshire Police Department and the Lake County Sheriff’s Office assisted the Vernon Hills Police Department.